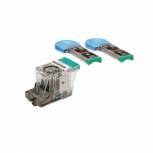 HP Laserjet 9000 Staple Cartridge Refill (Pack of 5000) C8091A Pack of 1 Staple refill for HP printers with stapler accessory. Robust stapling for professional-looking documents. Self-contained cartridge. Fits LaserJet 4700, 700, 4345, 9000, 9040, 9040, 9050, CM4540, CM4730, CM6030, CM6040 and CM6049. OEM: 58018. 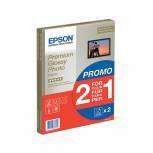 Lexmark C720 Oil Bottle 15W0906 Pack of 1 Replacement oil bottle for Lexmark printers. Keeps the fuser assembly lubricated. 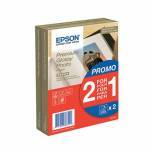 Helps prevent paper jams and misfeeds. Designed for C720, C720n, C720dn and X720Page yield: 12,000. Verbatim ABS 1.75mm 1kg Reel Black 3D Printing Filament 55010 Pack of 1 Verbatim ABS 1kg reel. Compatible with a wide range of 3D printers this ABS reel will ensure they are working to their optimum print quality. 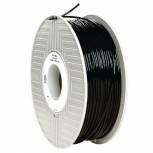 ABS filament features greater strength and flexibility and higher temperature resistance. Verbatim ABS 1.75mm 1kg Reel White 3D Printing Filament 55011 Pack of 1 Verbatim ABS 1kg reel. Compatible with a wide range of 3D printers this ABS reel will ensure they are working to their optimum print quality. ABS filament features greater strength and flexibility and higher temperature resistance. Verbatim ABS 1.75mm 1kg Reel Blue 3D Printing Filament 55012 Pack of 1 Verbatim ABS 1kg reel. Compatible with a wide range of 3D printers this ABS reel will ensure they are working to their optimum print quality. ABS filament features greater strength and flexibility and higher temperature resistance. Verbatim ABS 1.75mm 1kg Reel Red 3D Printing Filament 55013 Pack of 1 Verbatim ABS 1kg reel. Compatible with a wide range of 3D printers this ABS reel will ensure they are working to their optimum print quality. ABS filament features greater strength and flexibility and higher temperature resistance. Verbatim ABS 2.85mm 1kg Reel White 3D Printing Filament 55017 Pack of 1 Verbatim ABS 1kg reel. Compatible with a wide range of 3D printers this ABS reel will ensure they are working to their optimum print quality. ABS filament features greater strength and flexibility and higher temperature resistance. Verbatim ABS 2.85mm 1kg Reel Black 3D Printing Filament 55018 Pack of 1 Verbatim ABS 1kg reel. Compatible with a wide range of 3D printers this ABS reel will ensure they are working to their optimum print quality. ABS filament features greater strength and flexibility and higher temperature resistance. Verbatim PLA 3D Printing Filament 1.75mm 1kg Reel Black 55267 Pack of 1 1.75mm thickness. Supplied on 1kg reel. All filament is delivered in a vacuum bag, with desiccant, wound onto a spool. Suited for a wide range of 3D printers. Process temperature: 200-220¬C (recommended). Verbatim PLA 3D Printing Filament 1.75mm 1kg Reel Blue 55269 Pack of 1 1.75mm thickness. Supplied on 1kg reel. All filament is delivered in a vacuum bag, with desiccant, wound onto a spool. Suited for a wide range of 3D printers. Process temperature: 200-220¬C (recommended). Verbatim PLA 3D Printing Filament 1.75mm 1kg Reel Red 55270 Pack of 1 1.75mm thickness. Supplied on 1kg reel. All filament is delivered in a vacuum bag, with desiccant, wound onto a spool. Suited for a wide range of 3D printers. Process temperature: 200-220¬C (recommended). 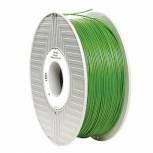 Verbatim PLA 3D Printing Filament 1.75mm 1kg Reel Green 55271 Pack of 1 1.75mm thickness. Supplied on 1kg reel. All filament is delivered in a vacuum bag, with desiccant, wound onto a spool. Suited for a wide range of 3D printers. Process temperature: 200-220¬C (recommended). Verbatim PLA 3D Printing Filament 2.85mm 1kg Reel Black 55276 Pack of 1 2.85mm thickness. Supplied on 1kg reel. All filament is delivered in a vacuum bag, with desiccant, wound onto a spool. Suited for a wide range of 3D printers. Process temperature: 200-220¬C (recommended). 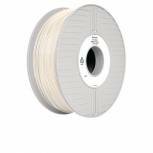 Verbatim PLA 3D Printing Filament 2.85mm 1kg Reel White 55277 Pack of 1 2.85mm thickness. Supplied on 1kg reel. All filament is delivered in a vacuum bag, with desiccant, wound onto a spool. Suited for a wide range of 3D printers. Process temperature: 200-220¬C (recommended). Verbatim PLA 3D Printing Filament 2.85mm 1kg Reel Blue 55278 Pack of 1 2.85mm thickness. Supplied on 1kg reel. All filament is delivered in a vacuum bag, with desiccant, wound onto a spool. Suited for a wide range of 3D printers. Process temperature: 200-220¬C (recommended). Verbatim PLA 3D Printing Filament 2.85mm 1kg Reel Red 55279 Pack of 1 2.85mm thickness. Supplied on 1kg reel. All filament is delivered in a vacuum bag, with desiccant, wound onto a spool. Suited for a wide range of 3D printers. Process temperature: 200-220¬C (recommended). 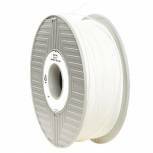 Verbatim Primalloy 3D Printing Filament 1.75mm 500g Reel White 55500 Pack of 1 Made with thermoplastic elastomer (TPE) Primalloy is a soft rubber material with exceptional physical qualities. Delivered in a vacuum bag with desiccant wound onto a spool. Verbatim Primalloy 3D Printing Filament 2.85mm 500g Reel White 55501 Pack of 1 Made with thermoplastic elastomer (TPE) Primalloy is a soft rubber material with exceptional physical qualities. Delivered in a vacuum bag with desiccant wound onto a spool.